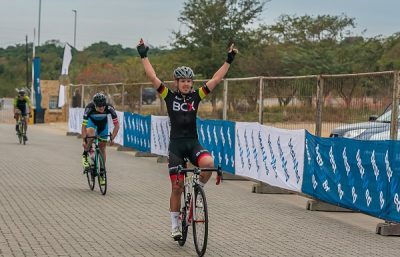 BCX professional David Maree won the first and third stages to propel himself to a one-second victory in the Bestmed Jock Classic road cycle race in Mbombela, Mpumalanga, today. With what he described as “outstanding support” from his team, Maree completed the one-day three-stage race over 151km in an overall time of 4:05:03. He outsprinted multiple former champion Dylan Girdlestone on the 63km final stage, leaving the OfficeGuru rider to take second overall in what is one of the country’s oldest classics and generally accepted to be the toughest. Steven van Heerden, also BCX, placed fourth behind Dylan le Roux on stage three to complete the general classification podium. Maree, from Fourways in Johannesburg, said he had set himself the goal of winning at least one stage and was delighted with the final outcome. BCX have produced a number of winning performances of late – Marc Pritzen took the spoils at the Kremetart while Chris Jooste won in Knysna – and they were motivated to maintain that form in the Bestmed Jock Classic, presented by Rudy Project. Maree said the support of the team was particularly evident on the final stage from Sabie back to Mbombela, which included the infamous Long Tom Pass. “We knew it could come to a big showdown on Long Tom Pass and from the start Dylan sent a few riders up the road. He said he knew he just had to bide his time in the closing stages. “I believe that racing is pretty simple if you are ahead and, even though I had a slim lead, all you have to do is to stick with the guys you know who are going to be good. “With about 300m left, I managed to go through the final corner a little bit faster than Dylan and was able to hang on for the win. Maree won the opening stage ahead of Girdlestone and ProTouch’s James Fourie with Pritzen taking stage two ahead of Van Heerden and Maree. Demacon continued to dominate the women’s circuit when national champion Carla Oberholzer claimed the first and third stages en route to claiming overall honours. 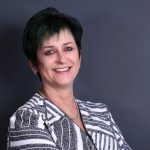 Oberholzer, who also placed second in the middle stage won by her teammate Kim le Court, said they had worked as a team going over Long Tom Pass on the final stage. She added that they were pleased to keep their form going and that they would now look to build up to the big races at the end of the year.